Matt Wallner took college baseball by storm as a freshman at Southern Mississippi and earned national freshman of the year honors in 2017. It was a surprising performance, after he flew under the radar as a Minnesota prep player. He’s produced two straight notable seasons at Southern Miss and is one of the top players in the country this season. Wallner enters his junior season as a potential first-round pick in June’s MLB draft. MLB.com ranks the power-hitting outfielder as the 26th-best prospect in this year’s draft class. He said he’s already spoken with about every major league team and is trying to focus his attention on the field instead of looking at his future. 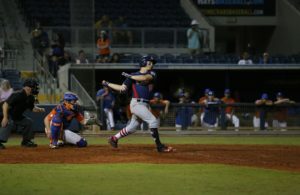 Wallner posted a .336 batting average with 19 home runs and 63 RBIs in 66 games in 2017. He struck out 50 times while drawing 45 walks and being hit by 12 pitches. He responded by duplicating his numbers as a sophomore last season. He hit .351 with 16 home runs and 67 RBIs in 62 games. He recorded 53 strikeouts, 48 walks and 10 hit by pitches. Wallner, who’s 6-foot-5 and 220 pounds, is known for his ability at the plate. He’s an aggressive batter whose size and strength allows him to hit for power from the left-side of the plate. He has as much raw power as any draft prospect in this year’s class. One area he’s worked on this offseason is his approach at the plate. In his first two years, he’s had a tendency to chase pitches out of the zone. Over the summer, Wallner struck out in more than 25 percent of his plate appearances in the Cape Cod League. Wallner has worked on adjusting the placement of his hands in his batting stance. He’s moved his hands farther away from his body to have more control over the barrel of the bat, he said. He believes this approach will allow him to square up more pitches. 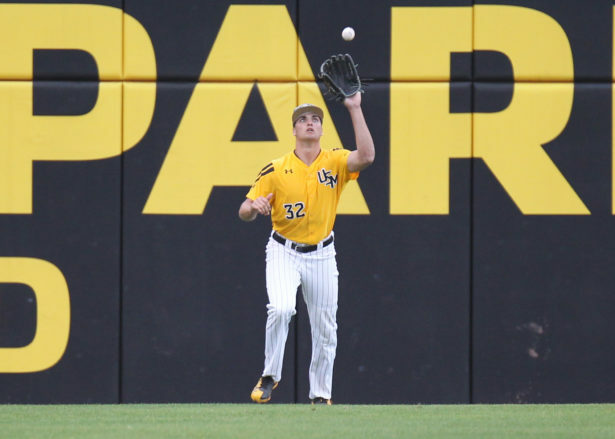 Defensively, Wallner has played center field in his first two years at Southern Miss. He has above-average arm strength but has average speed. 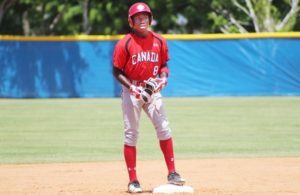 His intangibles and size are two reasons scouts believe he’s destined for a move to right field in pro baseball. “I think I could stick at centerfield, but I think moving forward, I’m more the prototypal right fielder with my body and my size,” Wallner said. Scouts also have interest in Wallner as a pitcher. 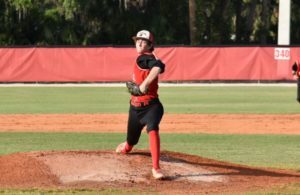 Wallner, a right-handed pitcher, throws a 96 mph fastball, a hard breaking slider and a splitter, which he added to his repertoire this offseason. Southern Miss has used Wallner predominantly as a reliever the last two years, as he’s averaged about 15 innings each season. Wallner said he will be a starter this season and will eclipse the amount of innings he’s thrown the last two years. Although he’s glad he’s pitched throughout college, Wallner views himself as a position player long-term. Wallner has high expectations for this season. If he can post similar statistics to his first two years at Southern Miss, he will be a lock to go in the first round of the draft.